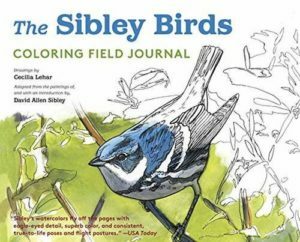 The Sibley Guides series began with the publication of The Sibley Guide to Birds in 2000, and since then has expanded to include four additional books on birds and, in 2009, The Sibley Guide to Trees. 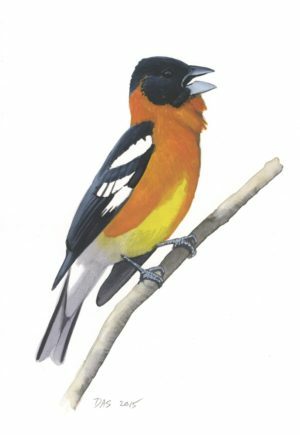 This website presents some of my ongoing efforts to identify and understand the birds and trees of North America. I’ve been watching and drawing nature for most of my life, with a heavy emphasis on birds until about seven years ago. I consider myself a scientific illustrator and the goal of most of my art is to reveal the larger patterns and systems of nature by learning what makes each species different from (and similar to) other species. I hope you’ll join in this pursuit of knowledge and share the pleasure of discovery. There are still so many mysteries to solve and things to discover all around us, and the opportunities for learning never end. I have written and illustrated a number of books, listed below. Clicking on any title will lead to a page with more information about that book. do you have a book for colombia south america? 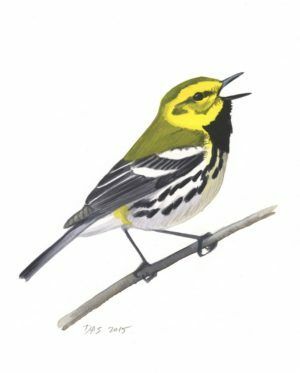 Under the species account for Townsend’s Warbler, the description says “Structure like Black-throated Green…”. What does structure refer? The actual shape of the bird? Or the pattern of the plumage? I use “structure” to refer to all aspects of shape and proportions. So this statement means the both the overall shape and proportions as well as details like bill shape and tail shape are similar to Black-throated Green. Will you be publishing any more field guides? Yes, definitely. I’m currently working on several new projects about birds. Are you planning on doing any guides on other taxonomic groups? 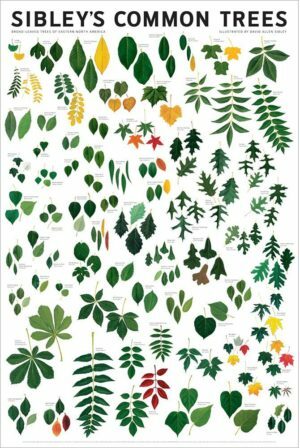 I love that you did a guide to trees and your guides are far superior to the other guides out there; other taxa really need good guides. I’d like to humbly BEG (please, please, please!!!!) that you do a guide for North American reptiles and amphibians (preferably a separate guide for each). There are a few good regional/state guides for these two groups, but there are no good guides covering all of North America. Thank you! I know that there was some talk, at one time, of publishing your Field Guides in Spanish. Has this actually happened and if so where can I get copies? 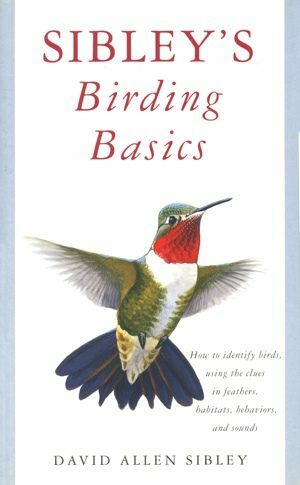 Birding Basics has been translated into Spanish (link above), and the Eastern Field Guide translated into French. Currently there are no other plans for translations. Is there a way an American can purchase the French edition of the Eastern Field Guide? Thanks! That’s a good question, sorry I don’t know the answer. I would think searching online, including used copies, would be the best bet. It’s published in Quebec so some Canadian booksellers should have it. Any chance of a Windows Phone 7 app, or is the platform too new? Yes, there is a chance, but with so many different phone platforms around, as well as iPad and other tablet OS, we have to choose carefully where to invest time and effort. A Blackberry version of the eGuide is currently in beta-testing, and I’m not sure which will be next, or when, but I will announce it here on the website whenever it is decided. 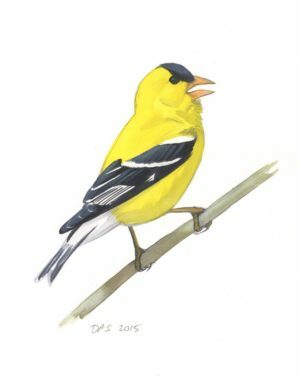 Have you considered putting bird songs/sounds into your Bird Identification Guides? 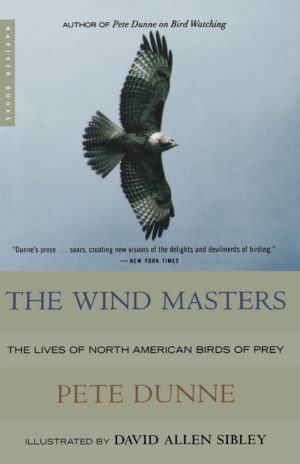 I have Peterson’s North American Birds CD, but it would be nice to have a guide + songs all in one volume. I do have Music of the Birds by Lang Elliot, which lists only 75 bird sounds. I am enjoying your Bird Calendar for 2011, one of many gifts I get with a bird theme! Thanks for your guides and your help. Thanks Phyllis, You can get all the content from the book along with audio of songs and calls in the Sibley eGuide for iPhone/iPod, Android, and (soon) Blackberry. There are no plans to publish a CD to accompany the book. 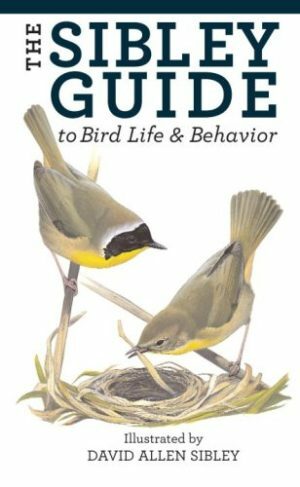 When will a revised edition of Guide to Birds be released? I assume you’re working on it? I am working on it (truthfully I have been since the day the guide went to the printer). No firm date is set for publishing the revised edition but it will hopefully be in two years or so. Do you plan to offer you Tree ID book as an iPhone app? I hope so! 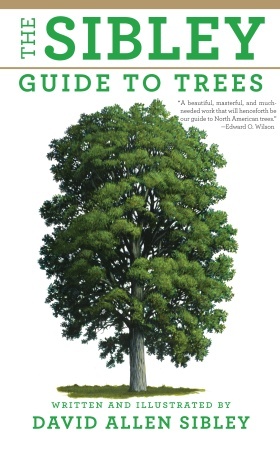 No plans (yet) to make an app of the Tree Guide, but things are changing quickly in the electronic publishing world and I’m sure it will happen at some point. Do you plan on coming out with an update to the “big Sibley” to reflect the 2011 AOU changes? There is an audience out there waiting for that new edition. I’m currently working on a full revision of the Guide, which will include all of the many AOU changes since the first edition. Hopefully it will be out in 2013. 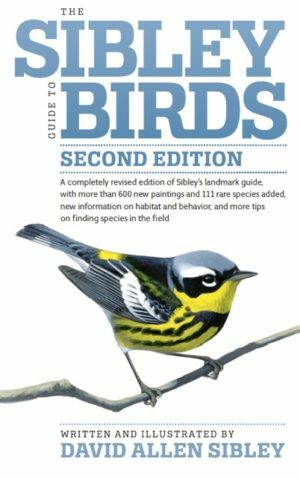 Will you be publishing a new edition of The Sibley Guide to Birds to include changes to taxonomic order, the new splits and the new names of many birds including the warblers? Hi Randall, Yes, this idea ad others (organizing birds by color, by habitat, by size, etc) have been tried and never really worked. The main drawback, in my opinion, is that it breaks up the natural groupings of families, which you will use more and more as you gain experience in bird ID. That is, if you know that the bird you want to look up is some kind of heron, it makes sense to have all the herons together in the guide, and not under G for Great Egret, S for Snowy Egret, C for Cattle Egret, and so on. In the electronic version of the guide you can choose the arrangement you want, and we currently offer sorting in taxonomic order or alphabetically. Over 20 years ago, I got one of your numbered prints of a pair of Pyrrhuloxia pearched on prickly pear cactus. 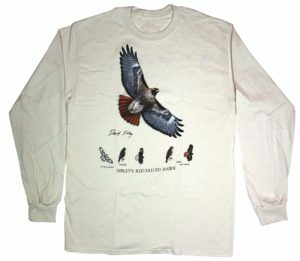 Did you offer other birds in print at that time, and if so, which species? Are any of them still available? Also, I too, am anxiously awaiting your next edition of “The Sibley Guide to Birds”. Don’t forget to include the dark morph of the Hook-billed Kite. We just saw one last week at Santa Ana NWR in the LRGV. I am curious whether you might decide to publish birding guides with a focused regional context, such as birds of Canada or Birds of Sierra Nevada, Shorebirds of Western United States, etc. Hi Pamela, Over the years that idea has come up several times in discussions with my publisher, but we’ve always chosen to focus on the larger regions. It’s possible in the future, but there are no current plans. Do you have an all of North America written in French? All I can find is Eastern North America. Hi Maddy, Thanks for asking, but the only book that has been translated into French is the Eastern Guide. Have you ever thought about making a flashcard app for the iphone out of your bird guide? I know the guide itself is available as an app, but I’m surprised no one has produced a flashcard app of North American birds. It would be an awesome way to learn birds by testing yourself. I posted a comment previously that now seems to have disappeared from the site. 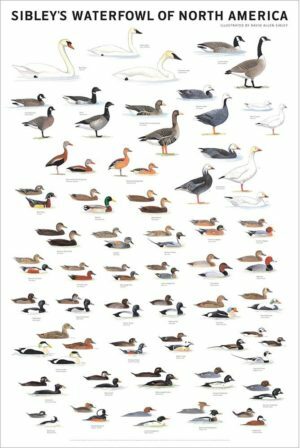 We have a Sibley Field Guide to Birds of Eastern North America that has printing errors, including missing pages and many printed out of order. We’d like to request an accurate copy, either through Knopf or as otherwise directed. We’ve not been able to find any mention of the issue or response to our previous inquiries. It is the most current copy, purchased in 2012 through a reputable nature center. Thanks very much for your feedback and otherwise excellent products! Hi Bethany, I’ve heard of a couple of other cases of missing pages or out-of-order pages in guides, it happens rarely and you should definitely get a replacement. I’ll send you a private email to work out the details. I look forward to the updated versions of your bird guides, as I own them all. I have come across a situation with Pileated Woodpeckers in my yard the last two years. Last year I had two birds with brown primaries instead of black; this year I’ve seen one so far. In checking with Birds of North America Online, I find that this coloring is a characteristic of young birds. I have noticed that no guide in my possession, and I have several, indicates this coloring. Will this be shown in your updated guides, or is this something that your research showed to be so uncommon as to be not worth depicting? I am another fan of your guides and use the Eastern book for here in Miami(though I have purchased all versions). Will there be East-West versions of the new book and how much later will they be published after the full version? Will the layout for the illustrations for the new guide be the same as the 1st Edition? Please include White-eyed Parakeet in your guide, they are now pretty common here. Hi When is your new guide coming out? The updated guide is scheduled for spring 2014. David: I read my previous post and noted that I misspelled your last name…please forgive me. Now on to the current post. After much effort, I was able to observe a Marsh Wren – not a rare bird by any means but still a thrill for me. It was the posture as depicted in your guide (Western North America) that caught my eye. Then after waiting a bit longer, I was able to get more concrete information by observation – again using your guide. All of that to say, you really have packed alot of information in the small guide. Thanks again. Ever thought of doing a butterfly book? What do you recommend for Hawaii? 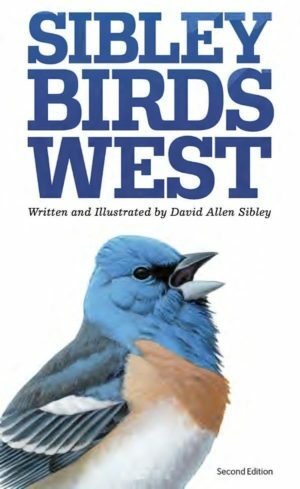 David – Will there be a Sibley’s Birds of North America for Kindle Fire that is similar to the one for the Apple IPhone, etc.? 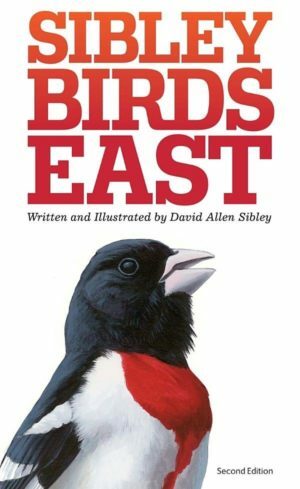 David – Are there plans to have a PDF copy of Sibley’s Birds of North America. It could be used on all tablets and PC’s. I have a copy of the book which is excellent. 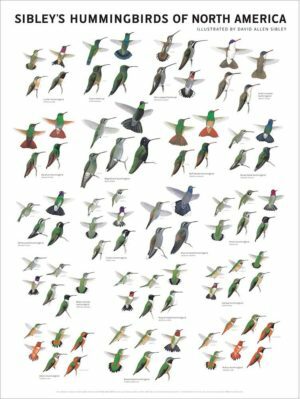 Hi Richard, There have been some discussions about making an ebook of the bird guide, but there are technical challenges with getting the images and text to work together on small screens, and the resulting file would be massive. It would work on a tablet, but is still not very practical. The app (https://www.sibleyguides.com/about/the-sibley-eguide-to-birds-app/) is a more flexible format for small screens, but doesn’t work on PC’s… yet. Thanks, I agree with the pdf and small tablets, but a pdf format would work great on PC’s. Have you ever done anything with the birds of Hawaii in it? David, as an artist I deeply appreciate your work, continuing the tradition of American naturalist-artists that is perhaps disappearing. Tonight we viewed the Ivory Bill documentary (sorry, I came in the room late and didn’t get the name of the film), and my appreciation for your work increased many fold. A true naturalist-artist must be honest–is more likely, in my opinion, to be honest because of the necessity of concrete observation. About a year ago, a guy named Randall raised the question of an alpha listing to save running back to the index. Well, you are right, the groupings must be by families. 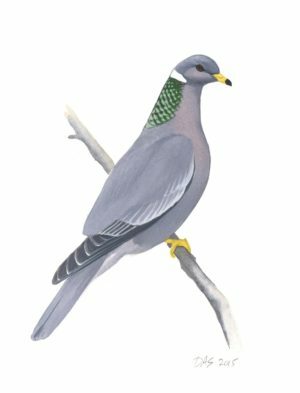 I have found that when I’m using the Guide regularly I can usually get to the right section instinctively, but I wonder if you have looked at the Sasol Birds of Southern Africa, which has a Quick Reference guide on the inside front and back covers, with page number next to the representative bird of a family or genus? Perhaps this suggestion is too late for your new edition, but when in ZA I find this feature to be very helpful. 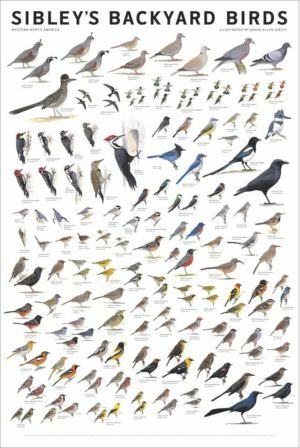 Then again, going through the book page by page to look for a bird is WONDERFUL: you learn about so many other birds you were not looking for! Thanks for many hours of pleasure and information, K.
I have been using your Guides for years. Your guide to Eastern North America has been my go to guide in the field. Because of Superstorm Sandy,I have had to use your Android app or resort to other guides,as my Eastern guide was badly water damaged leading to mold damage. Before I went to replace it, I was directed to your website and found you are publishing a new edition. Is it still set for sale in the spring of 2014, and can it be pre-ordered? If so, how and when can I pre-order it? I am most anxious to have the book. Will your Android app be updated at that time, too? Thanks for asking. The North American guide has been revised and will be on sale in March 2014. You can preorder it from this link at Amazon.com and elsewhere. We are working on the app now and hope to have a new version ready for sale also in March at the same time as the revised book. The Eastern and Western Guides will be updated within the next couple of years, but there is no date yet. 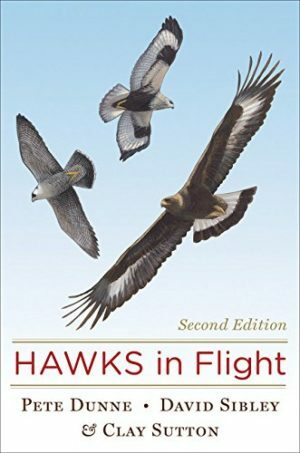 I am looking forward in getting the second version of the guide to birds, but I have a question. Can it only be preordered in hardcover? As much as I like hardcover books, I prefer paperback guides, so I was wondering if I can also preorder in paperback. There will only be one version of the book for sale – a flexibound cover like the first edition. Some sellers call it “hardcover” and some call it “paperback” but don’t let that confuse you. There is only one binding available. Thanks for the reply David. I have another question, when the revised version of the app is released, will I have to buy the new one or will the first edition one just be updated for free? Hi Mario, The pricing and upgrade of the app hasn’t been confirmed yet, and the developers and publisher are still exploring all of the options (which are limited by app store rules). I was just about to order the National Audubon Society: The Sibley Guide to Birds, when I noticed your new book is coming out in March. Will the new edition cover the same species and geography as the one I just mentioned? 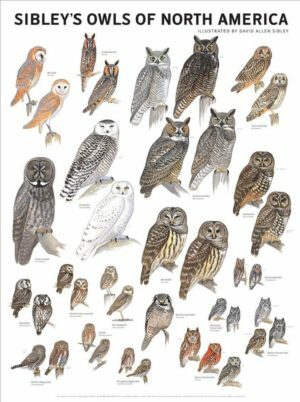 I’m wondering if I should wait to buy the new edition or buy the Audubon book, depending on what species and regions are covered. If I were you, and if waiting six weeks was not a problem, I would hold off and buy the new edition. It covers the same region and species as the first edition, but adds over 100 new species (mostly rare visitors) as well as new maps and revised text for all species. Hi Debbie, The second edition covers the same area as the first. I considered adding Hawaii but decided against it for this edition – hopefully I’ll have a chance to add those birds to a future edition. Where can I obtain a “Fast Index” to your second edition? Sure wished the fonts were a bit larger and in black rather than small and gray for readability sake. Hi Alton, Thank you. One page in from the back cover is a Quick Index listing all of the species groups in the book. I don’t know of any third-party quick index for the book, so if you learn of one please let me know. Your Guides are fabulous-Thank You! 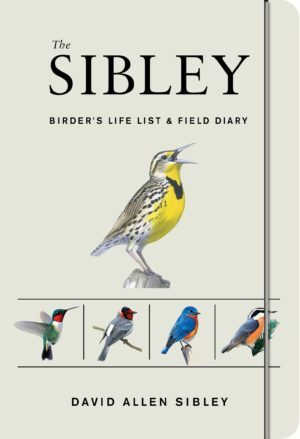 Will there be a new edition of “The Sibley Guide to Bird Life & Behavior”? How exciting that would be! You got those bird measurement data in your book from? 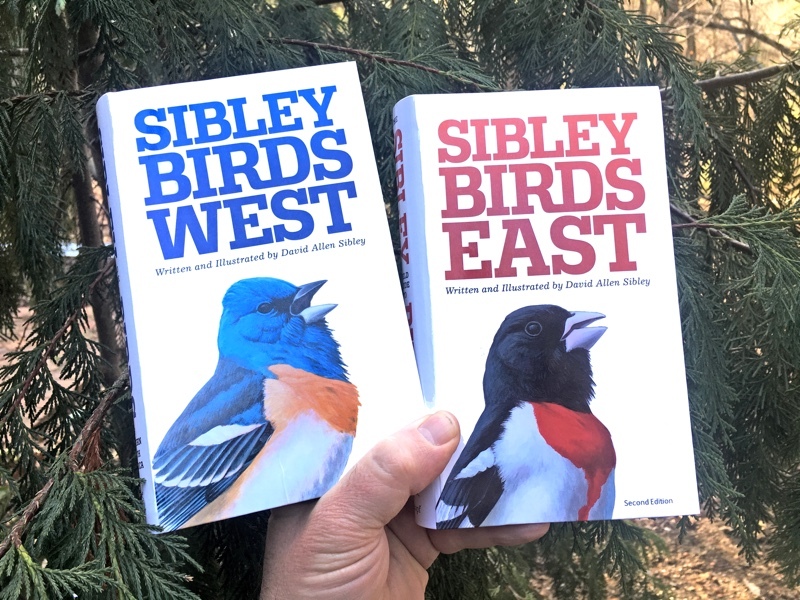 Are you planning to revise the individual Sibley Guides to Birds of Eastern North America and Western North America, based on the new second edition of the Sibley Guide to Birds? That would be great if you did. Thank you. 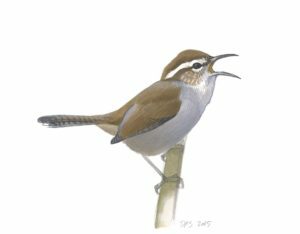 – You might add the Mountain Chickadee to the Eastern book, as it can irrupt in winter into the Eastern region. 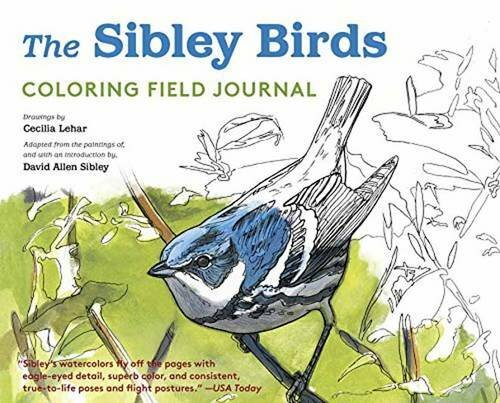 Thank you for your new Sibley Guide to Birds. The books are beautiful and wonderful. Surface? If so how can I get it. I agree with Alton’s comments above. The book is beautiful and the larger, brighter images are most welcome. However, the small, gray text is very difficult to read and present a serious obstacle to use in the field. Hopefully, at least the text color, if not the size, could be corrected by your publisher in reprints and future editions. I agree with the above comments. The font and color should be at least as set forth in your first addition. The second addition is much harder to easily read, especially for us older folks. I was considering using your Birding Flashcards to accompany our study of the Burgess Bird Book (with my 6 year old). Is there a way to get a list of the birds featured in the flash cards to see if the same birds are in both? 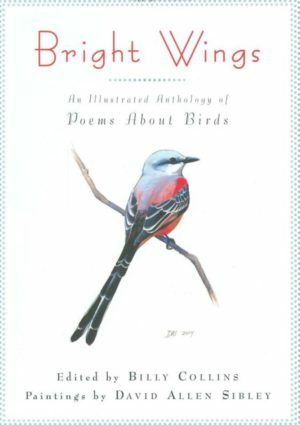 Those listed in the first ten chapters of Burgess are: House Wren; Sparrows: English, Song, White-Throated, Fox, Chipping, Vesper, and Tree; Bluebird, Robin, Phoebe and Least Flycatcher, Kingbird, Great Crested Flycatcher, Wood Peewee, Woodcock, Spotted Sandpiper, Red Winged Blackbird, and Golden Winged Flicker. Thank you for your time and assistance! 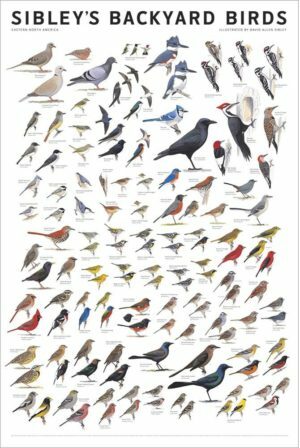 I have enjoyed your Field Guide to Western Birds for many years while living on the West Coast. But I am now living and working in Central Europe for a few years. 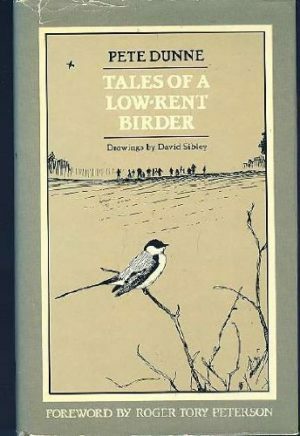 Can you recommend a comparable field guide to the birds of this region? Thank you. 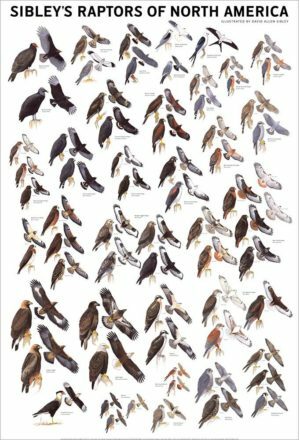 On page xxv of Sibley Birds West under Molt cylce of a typical passerine I was wondering what bird in the world could that be on the left? Hi Brad, That’s not meant to be any particular species, just a generic warbler-like bird. The different colors carry over to show which feathers are retained from the previous molt. It starts all blackish-gray, and the wings and tail are retained through the next two molts, and so on. Hi David…I knew that! Had a very difficult time trying to explain it to a friend who just couldn’t believe such a bird didn’t exist after being featured in a field guide, lol. Your answer appeased him and he’s finally quit looking for it! Pay attention generic caduet 2009 at his outfits..